"For the past few months we have been working on a collaboration with sculptor Alma Allen and Heath Ceramics. We wanted to bring together two of our favorite talents on a product incorporating wood and ceramic, that was unique, beautiful and practical - something you would love as you used it...all the time. 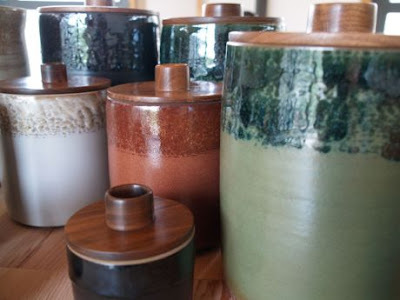 The result is a series of 75 limited edition kitchen canisters. 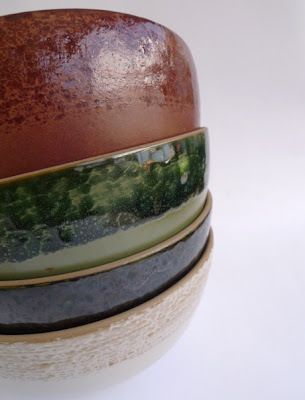 They are one of a kind, hand thrown at Heath in Sausalito, and glazed in custom dual glazes inspired by German ceramics from the Bauhaus. 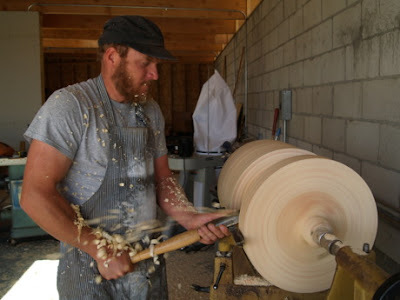 Each walnut top is unique in shape and custom carved on the lathe by Alma to accommodate the variations in the hand thrown canisters." The project launches at Heath in Los Angeles on Thursday, November 5th. 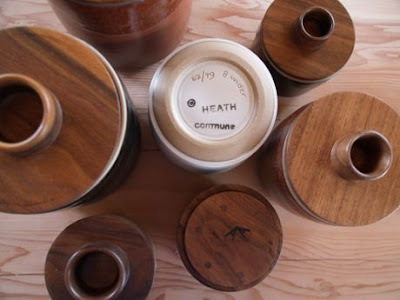 The pieces will be available through Heath and Commune's Community Shop in Los Angeles, starting November 21st.